The biggest platform of support for Brazilian automobilism will be represented by Marcel and Murilo Coletta on Porsche in Interlagos, by Heitor Farias, Julia Ayoub, Matheus Ferreira and Lorenzo Bergallo on Thursday on Paulista Light in Aldeia da Serra (SP) and with Matheus Leist on Indy. The CImed racing team, the biggest platform of support for our national automobilism, will be back on track this weekend in 3 very distinct track types. 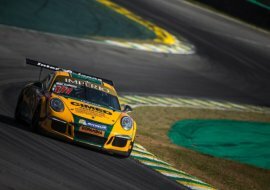 On the most traditional automobilism stage in Brazil, Interlagos, the Coletta brothers compete on the fourth stage of Porsche, in the Carrera Cup 3.8 category, while four pilots compete on Kart in Aldeia da Serra and Matheus Leist will be on his third weekend in a row competing on Indy in the USA. “We have a good deal in Interlagos and it will be our third time in a row in their track with Porsche. In the beginning of the races we’ve been keeping a good pace and now, we’re working on improving our final sprint in races. I’ve been second place twice in Interlagos with Porsche, so we’ll be a lot stronger for maybe getting this win” says Marcel, who won in Interlagos on Stock Light in his debut year with Cimed Racing in 2018. Murilo also has good feelings for the double round this saturday on Porsche. 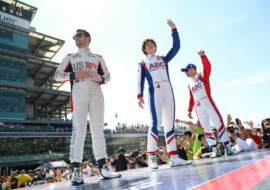 “My biggest goal this Saturday is to try to climb the podium on both races. Unfortunately I ended up having my score harmed the last round, so we have a good chance of recovering again in Interlagos” diz Murilo, que subiu no pódio em duas provas da Porsche neste ano em curitiba. On kart, Heitor Farias, Julia Ayoub, Matheus Ferreira and Lorenzo Bergallo will be on the fifth round of Paulista Light in Aldeia da Serra (SP) for the CIMED racing team. 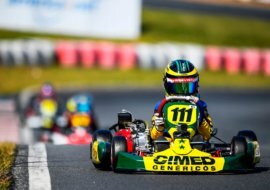 Last Saturday on Granja Viana’s kart track, Heitor was the biggest highlight after winning a round starting in the last position on the Micro Max category after 18 overtakes. On Paulista Light, Heitor runs on the cadet category, Bergallo on the child’s category while Matheus and Julia compete on the Junior category. Abroad, Matheus Leist is another cimed racing representant who’ll be on the tracks. 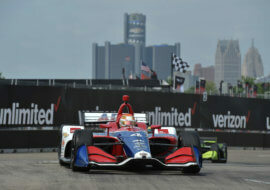 The 19-year-old from the south will compete in another Indy round, this time on the oval circuit in Texas, where the pilot from the AJ Foyt team has never competed. The departure will be at 9:45pm next Saturday, with live transmission by BandSports.